We are a leading Manufacturer of dual head riveting machine from Faridabad, India. 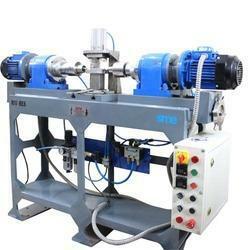 We are among the leading manufacturers of Dual Head Riveting Machine. These products are widely used in various industrial applications for their durability, long working life and other extensive features. We have procured our complete range only from trusted vendors for ensuring its high-quality and optimum performance.